Why did Rip van Winkle sleep so long? 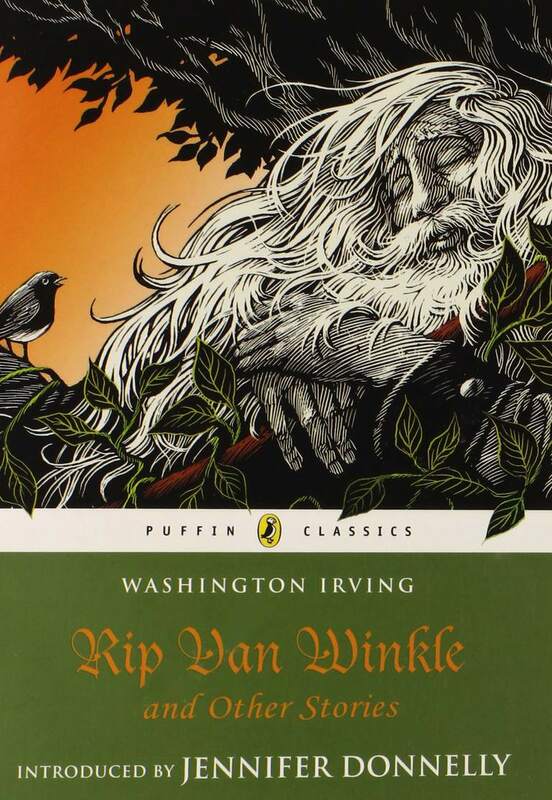 Rip van Winkle is an 1819 story by Washington Irving, American short-story writer. The story was published as part of The Sketch Book of Geoffrey Crayon, and was based on a German fairy tale. It chronicles the story of a man who falls asleep in the Catskills just before the American Revolution, and wakes up 20 years later to a completely different society. Rip ends up in the mountains in the first place while trying to escape his "nagging" wife, and meets a man struggling with a heavy keg of moonshine. He helps the man carry it to a hollow where they encounter strange men playing a game of ninepins. Rip drinks some of their moonshine, and falls asleep 20 years later with a rusted musket and a long beard. He later learns that the man with the keg was the ghost of Henry Hudson. Who are the "strange men" that Rip encounters in the hollow? Is it helpful to know that the story is based on a German fairy tale? Why or why not? Is Rip's long sleep a reward (perhaps for helping the men playing ninepins) or a punishment (for being a generally lazy guy)? What is the portrayal of women in the story, including that of Rip's wife Dame van Winkle? Can you think of a more contemporary story where a "nagging" wife is so central to a story's plot? 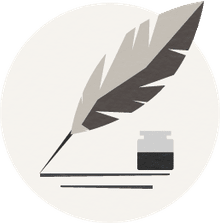 How does Irving reveal character in Rip van Winkle? Compare/Contrast Rip van Winkle with Gulliver of Gulliver's Travels by Jonathan Swift. Are there other characters in literature that compare to Rip van Winkle? Is Rip van Winkle consistent in his actions? Is he a fully-developed character? Discuss some of the symbols in Rip Van Winkle. Compare Rip van Winkle with The Legend of Sleepy Hollow. How are they similar? How are they different? How essential is the setting to the story? Could the story have taken place anywhere else? What if the story had been set before and after the Civil War, or the War of 1812? How realistic is Irving's depiction of the Catskills? Why did he choose to set the story there? How does time figure into the story? Why was Rip's slumber 20 years long, and not 10 years or 30 years? What would a sequel to Rip van Winkle have looked like? What would you expect Rip would be doing in another 20 years' time? Is Rip van Winkle a tragedy or a comedy? Is there a central moral or lesson to be learned? Is this a children's story? Why or why not?